The 0% p.a. balance transfer interest rate will not apply to transfers from other CUA-issued credit cards. 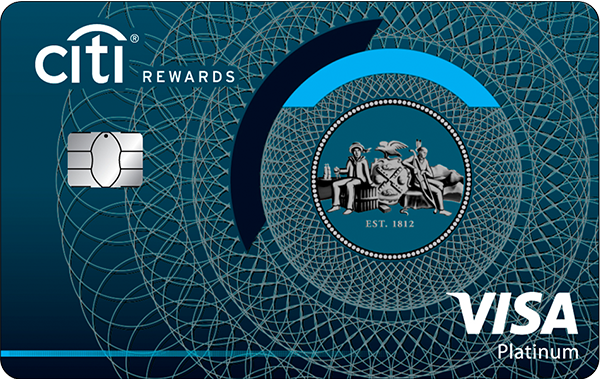 Bonus PointsEarn up to 200,000 bonus Citi reward Points. 0% p.a. on balance transfers for 12 months and a reduced annual fee of $49 p.a. in the first year. Bonus PointsReceive 60,000 NAB Rewards Points if you spend $1000 on everyday purchases within 60 days of account opening. Balance TransferEarn 20,000 bonus Velocity Points, ongoing $50 annual fee, 0% p.a. for 18 months on balance transfers (reverts to cash advance rate), plus a $129 Virgin Australia Gift Voucher each year. Spend criteria and T&Cs apply. The CUA Platinum Credit Card comes with a moderately high interest rate, a moderate number of interest-free days and a moderately high annual fee (although the annual fee is waived in the first year). It also comes with a moderately low late payment fee. Cardholders of the CUA Platinum Credit Card can earn points for eligible purchases made on the card as part of the CUA Life Rich Rewards program. Earned points can be redeemed for various rewards such as gift cards, merchandise and entertainment offerings. This card also comes with an introductory balance transfer offer of 0 per cent interest on transferred balances during a limited timeframe. Additionally, customers are covered by complimentary travel insurance and purchase protection insurance, and have access to Mastercard concierge services. Up to nine additional cardholders are also allowed at no extra cost. 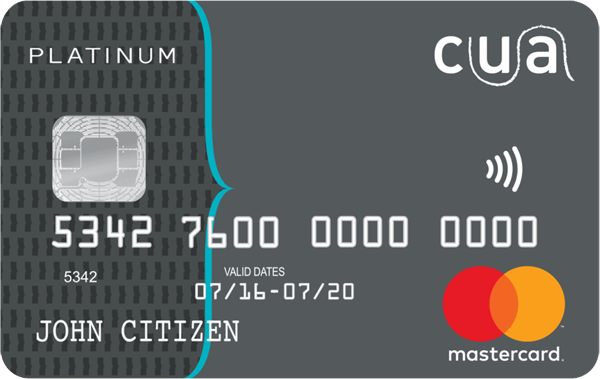 The CUA Platinum Credit Card may suit people who are always able to clear their monthly balance and want to be able to earn gift card/merchandise rewards for spending rather than frequent flyer points. This card may also suit people who are considering consolidating debt, due its introductory balance transfer deal. Families, small business owners and others who need to share a credit card account could also benefit from the CUA Platinum Credit Card’s generous allowance for up to nine free supplementary cards. On the other hand, this card probably isn’t the best choice for regular travellers as it isn’t compatible with any frequent flyer programs and comes with a high fee for spending overseas. Additionally, it’s not especially appropriate for those on a tight budget due to its moderately high interest rate. This card offers numerous advantages to a fairly wide potential customer base – including rewards-earning potential, complimentary insurance, free additional cards and a balance transfer deal. While the interest rate is moderately high – which can be expected from a platinum rewards card – the waived annual fee (for the first year) and moderately low late payment fee offer additional savings. What’s more, the allowance for up to nine additional cardholders at no added cost is generous compared to many other cards on the market. However, as is the case for all higher-rate cards, the risk of accumulating debt is increased – so it’s important to weigh up the benefits against your financial situation. If you don’t always manage to pay off your balance on a monthly basis, you may be better off choosing a card with a lower interest rate and lower standard annual fee. To be eligible for the CUA Platinum Credit Card, you must be at least 18 years or older, an Australian permanent resident and meet the lender’s serviceability criteria. To apply, you will need to provide proof of ID (such as a driver’s licence or passport), personal details and information about your financial standing and income, such as bank statements and payslips. Applications can be completed online or by visiting a CUA branch. Credit Union Australia, commonly known as CUA, is Australia’s largest member-owned financial institution. It provides over 440,000 customers personal finance products such as credit cards, bank accounts, superannuation, home loans, car loans and personal loans, as well as various insurance and financial planning services. CUA customers can self-manage their banking through CUA’s online banking portal, or get help via phone, email or by visiting a branch in person if preferred. Search for Platinum VISA Credit Cards at RateCity. Sorted by lowest rate. Compare Platinum VISA credit cards at RateCity.com.au The table below is sorted by the best interest rates for Platinum VISA credit cards.